It appears I’m not the only one infatuated with taste.com.au‘s brand new magazine! I’ve been hearing nothing but the best compliments on the new mag and I agree with all of them – it’s fantastic! I was almost literally over the moon when taste.com.au announced they’d be releasing a monthly magazine, as the website is my go-to when I’m looking for something to bake or cook; a copy of the mag found its way into my shopping trolley first thing in the morning on its debut date! 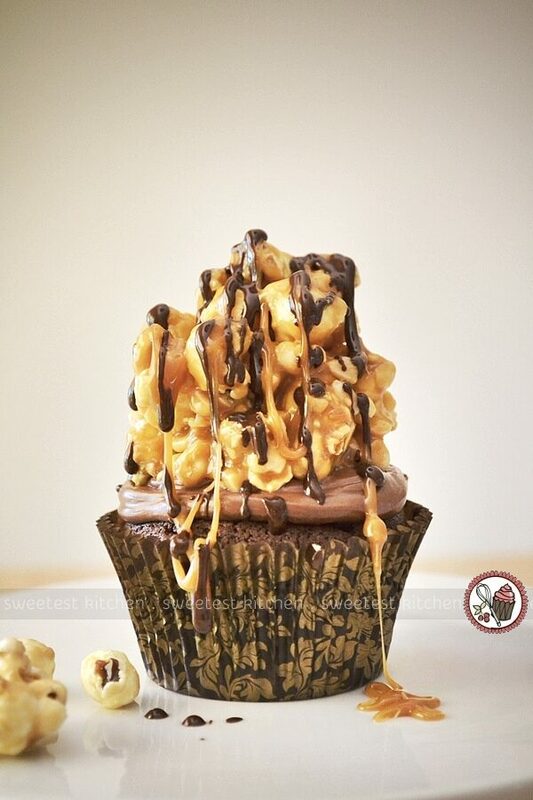 The first thing that strikes the mag’s readers is the over-the-top cupcake on the cover; a chocolate cupcake with chocolate frosting that provides the base for a heaping mound of nutty caramel-coated Lolly Gobble Bliss Bomb popcorn, drizzled in more caramel and melted chocolate. Okay, so admittedly, I felt a little sick looking at the cupcake and thought it was a daring recipe for a cover image, considering that a lot of people are now choosing healthier foods these days. There is nothing healthy about this cupcake – it could practically give itself diabetes. I personally think the editors of the mag should have chosen a beautiful savory dish to grace the cover of their very first issue. It is quite amusing that directly next to the cupcake “Hello Healthy” is written in large letters! Aside from my disappointment with the cover image, the magazine is brilliant. I love that Adriano Zumbo will be in each issue with a new challenge (I love Adriano!). The recipes featured throughout are easy and delicious-looking. I’ve had a go at three of them. I didn’t take a photo of the first one due to laziness; it was from the Barilla advertising section that was upside down at the back of the mag, the orecchiette with broccoli, anchovies, garlic & chilli. Very delicious! The second one I made was the zippy kale pesto with prawns & pasta. This was absolutely amazing; it was my first time tasting kale. I thought the grassy flavor of the kale was just beautiful in the pesto and with the chili & basil prawns? Wow! Stunning dish! Third, although I was hesitant, I made the healthy peanut butter mousse with chocolate glaze. This was, perhaps, at attempt to rectify the sugar-laden cover image, as the article this recipe came from featured desserts that were healthier by cutting out sugar and using secretly healthier or low-fat ingredients. This peanut butter mousse, instead of cream, used extra light cream cheese and low fat cottage cheese; rice malt syrup sweetens the deal. 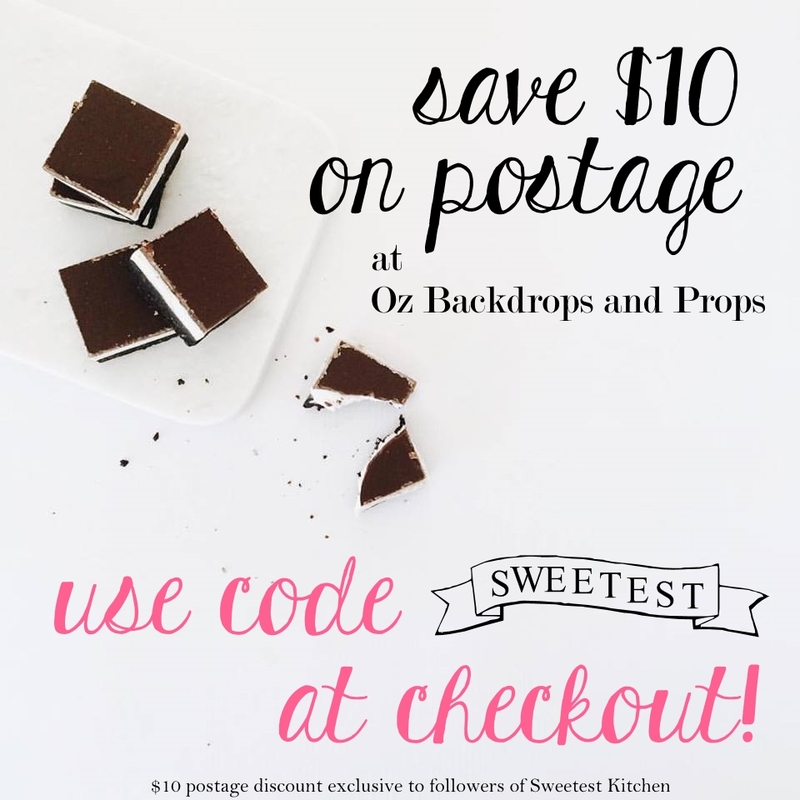 The chocolate glaze is made with cacao powder, coconut oil and rice malt syrup. Um, well, it was…. okay. Surely if you are serious about cutting all refined sugars out of your diet and want to eat healthier, then go for it. But if that doesn’t matter much to you and you’re just looking for a good dessert, skip it! I wasn’t really happy with the taste of this pb mousse; I even added a bit more rice malt syrup but I just wasn’t feeling it. What was really funny was when my husband picked up the other jar of pb mousse from the refrigerator and asked if he could have it. I didn’t directly offer the mousse to him because he doesn’t normally like mousse, and he doesn’t like healthier versions of desserts. But he must have had a craving for something sweet. I warned him it wasn’t very sweet and he probably wouldn’t like it because it was a healthier version of pb mousse and chocolate ganache. He shrugged his shoulders, sat down with the jar and spooned out a big mouthful. Barely even one second after the spoon entered his mouth, his face scrunched up and he almost ran to the bin to spit it out! He came back and said that that was the worst dessert he had ever tasted! It looks pretty, but the taste? Not so much! The big thing about the new taste.com.au mag is you can “cook the cover” for a chance to win some great prizes (although I’m not currently certain that this will be a monthly feature?). What an awesome idea! Although, yes, I was disappointed that this meant the whole of Australia would feel the need to bake such an unhealthy batch of cupcakes. I tried and tried to avoid cooking the cover for a couple of weeks. But I kept looking at the entries so far and eventually decided I did want to have a go after all. If not to eat, then just for the fun of it and a tiny slim chance of winning the prizes up for grabs! I baked the full batch of ten mud cupcakes; I frosted all but one of them (my daughter didn’t want the frosting or popcorn on top!) and decided to just top 5 of them with the popcorn. When you look at the picture of the cupcake, you think there’s probably a lot of work involved. But there isn’t. The only thing that’s made from scratch is the cupcakes. The frosting is store-bought (horrendous, I know); the Lolly Gobble popcorn is already coated in caramel and peanuts (although more of both is added later in the recipe); the caramel sauce is made from cream and melted chewy caramels. So you can kind of call this recipe “semi-homemade”. You have quite an impressive-looking cupcake. The chocolate cupcakes on their own taste great; that recipe is a real winner. They are super chocolaty, dense, soft and moist. Side note: I had to bake the cupcakes longer than the recommended 20-25 minutes although I’m not sure why. When I decided to take them out at about 30 minutes, they were still quite soft and my cake tester (a stick of dried spaghetti; my handy dandy secret tip for when you don’t have toothpicks!) kept coming out with raw cake batter. When I cut into the cake, however, it was perfect. 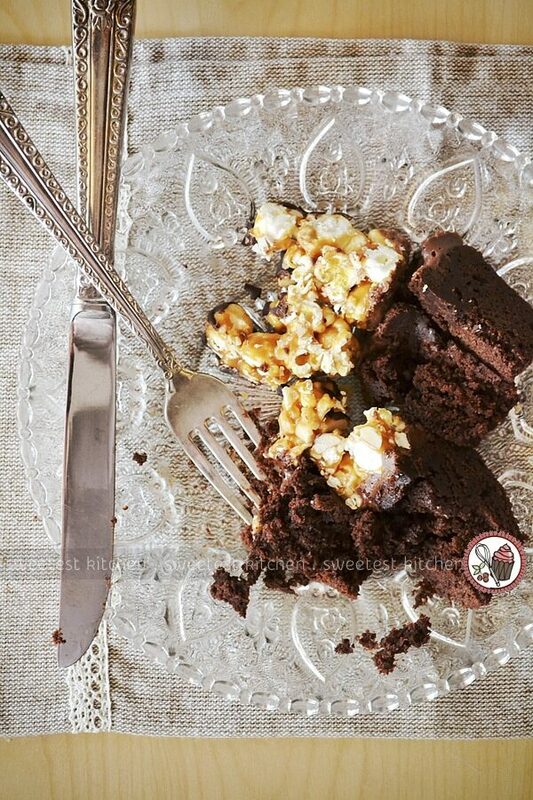 Paired with a bite of peanutty caramel popcorn, you get that salty sweetness and textural goodness; soft cake and crunchy nutty popcorn. I can’t honestly say I liked it, however. The flavors were good, there is no denying that. I just couldn’t get past the sickening amount of sugar in that one bite and I wasn’t sure I liked the idea of eating popcorn and cake at the same time. I didn’t actually get past the first bite. I do enjoy sweet food, as you can tell just by glancing at my blog, but this cupcake was a bit much for me. If you don’t care about health, you’re going to absolutely love these! If you’re baking for a party or family get-together or anything like that, these would be the perfect dessert – they are totally eye-catching! So, have you bought the new taste.com.au magazine? What do you think? What recipes have you made from it so far? 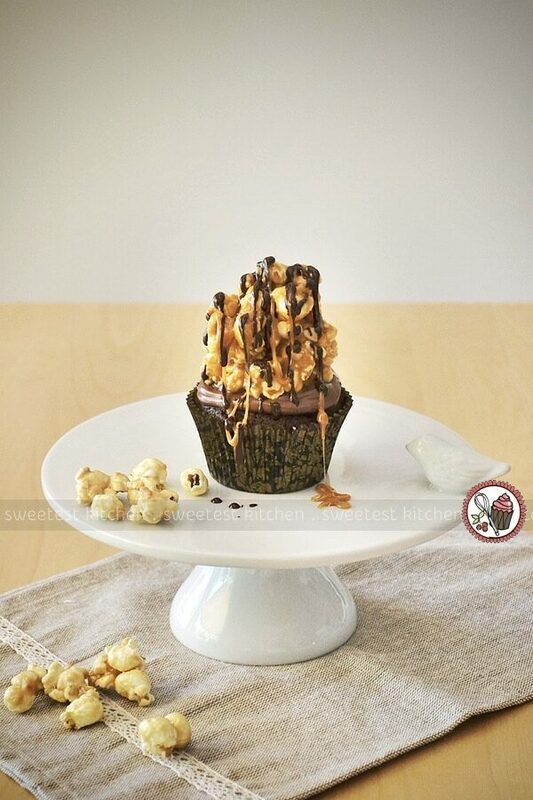 These semi-homemade impressive-looking cupcakes would be the perfect dessert for a party; chocolate mud cupcakes are coated in chocolate frosting and topped with a mound of peanutty caramel popcorn. Preheat oven to 180C/160C fan-forced and place 10 cupcake liners in a cupcake tin. Put about 1-inch of water in a saucepan and bring to barely a simmer; place chopped chocolate, butter and hot water in a heatproof bowl and place this bowl over the simmering water, being sure the bowl does not touch the water. Stir until melted and smooth; remove from heat. If the bowl isn't very big, transfer the melted chocolate to a larger bowl to mix in the rest of the ingredients. Add sugar and vanilla to melted chocolate; stir well. Whisk in flours, sifted cocoa powder and egg until well combined. Divide mixture evenly between cupcake liners. Bake for 20-25 minutes or until a skewer inserted in the middle comes out clean. Transfer to a wire rack and cool completely. Spread a layer of frosting on top of each cupcake. Combine the popcorn and peanuts in a large heatproof bowl. Place caramels and cream in a small saucepan over low heat for 5 minutes, stir until melted and smooth. Pour two-thirds of the caramel over the popcorn and stir to combine. Set aside for 3 minutes. While still warm, grab a handful of the popcorn mixture and shape it into sort of pyramid-shaped mounds (this will be very, very messy). Carefully place them on top of the frosted cupcakes. Leave to set for 5 minutes. Warm remaining caramel mixture to soften and drizzle it, and the melted chocolate, over the popcorn mounds. I found this was easier if I put the caramel and chocolate in piping bags/Ziploc bags to drizzle, as it was easier to control how much came out! I used Lindt 70% chocolate for the cupcakes and drizzling and Werther's Chewy Caramels for the caramel mixture.